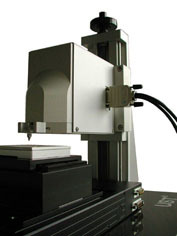 Universal Instrument for determination of micro-mechanical properties of materials and surfaces. 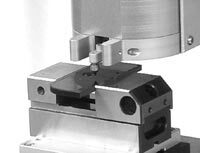 Analysis with sub-micrometer accuracy of micro-mechanic, micro-tribologic and functional properties of materials. Determinations of wear, abrasion, scratch resistance, micro-friction, structure and haptic characteristics. The scope of application of the UST® is not limited to only plastics, paints, coatings and prints. Rather, also metal ceramic, textile, rubber and in medicine e.g. human materials are accurately measured, evaluated and classified.